Manayunk will kick off Philadelphia's Jazz Appreciation Month with its own JazzFest: a 3-day live music celebration featuring 30+ acts of gypsy jazz, traditional jazz and blues, Latin jazz, jam sessions, and everything in between! 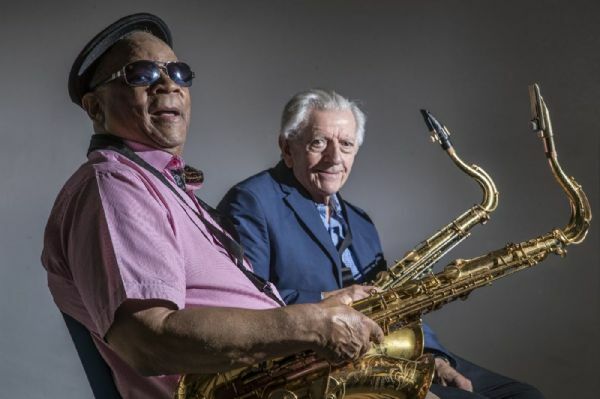 Headlining this festival are legendary saxophone players Bootsie Barnes and Larry McKenna, whom after 80 years of living and playing in the same city finally recorded their first album together The More I See You. Resumes combined, these musicians have recorded and performed with names such as Frank Sinatra, Tony Bennett, Rosemary Clooney, Lee Morgan, the Heath Brothers, Stan Getz, Philly Joe Jones, and countless others. Come join us at Venice Island Performing Arts Center for an unforgettable night of music. Proceeds from ticket sales will go to local non-profit Jazz Bridge, which works to help local jazz and blues musicians in times of crisis (www.jazzbridge.org). For more information on the headliners and overall festival, visit www.manayunkjazzfest.com. View More Events Organized by One Nickel. This event is organized by One Nickel.